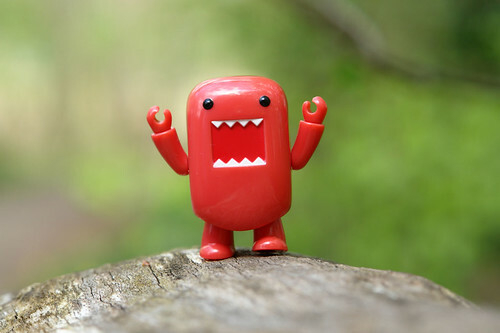 Adventures In Uglyworld: Uglyworld #492 - Domo Screams Freedom! Uglyworld #492 - Domo Screams Freedom!, originally uploaded by www.bazpics.com. While we were walking to the giant Oak trees near Chatelherault we heard loud screams of "freedom" and wondered if Cinko had jumped in a taxi to the park too. It turned out to be their Scottish cousin Domo standing on the top of a large rock screaming his lungs out.